A sagging neck can be a cause of concern for many patients, who seek a surgical or non surgical solution. Young patient may develop a fat, sagging neck due to genetic inheritance, but most neck sagging is the consequence of aging and sun damage. As we age several things happen to the neck. The skin loses elasticity and becomes lax, fat decreases and becomes displaced by gravity producing the typical jowls and fat under the chin. Muscles also lose their size and strength, or become thickened in bands, platysma bands. The skin loses collagen and hyaluronic acid, with sun-damage and pollution (smoking), pigmentation (age spots), fine blood vessels and wrinkles appear. The Neck Lift Surgery and Neck Rejuvenation treatments will help reposition and tighten displaced skin, remove excess fat and tighten lax muscles to achieve a natural subtle youthful appearance. However, in combination with your Neck Lift Plastic Surgery, several other non surgical treatments, such as Obagi Elastiderm Decolletage, Radiofrequency Skin Rejuvenation, LASER Rejuvenation, Lifting or Dermaroller treatments, may be suitable to achieve the optimum rejuvenation of the Neck. The optimum procedure for you will depend on your goals and specific anatomy. The Neck Lift is a Plastic surgery procedure designed to restore the youthful appearance of the Neck, define the jaw line and improve the neck contour. This is achieved by lifting the soft tissues of the neck and fixing these in a suitable position until natural healing occurs, to permanently secure the soft tissues in the desired position. Neck Lift Surgery aims to correct the signs of aging and gravity, improving the appearance of the jaw line and neck. The goal is to look fresh, more youthful without changing you – natural rejuvenation! Patients who do not have excess skin due to laxity, commonly do not require full Neck Lift, many of these patients will benefit from Silhouette Neck Lift, Mini Neck Lift or non invasive Neck rejuvenation. 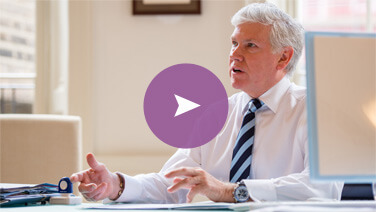 The procedure which is best suited to your goals will be discussed at your consultation. Your result can restore self-confidence and boost self-esteem. Am I the ideal patient for Neck Lift Surgery? If you are concerned about the aging changes of your Neck and would like to achieve a fresher more youthful look, then Neck Lift Surgery may be suitable for you. If you do not have significant skin laxity, you may be suitable for other less invasive procedures, such as Silhouette Neck Lift. You should be realistic as to what can be achieved by the Neck Lift Surgery and understand the risks and side effects of this surgery. Does Neck Lift Surgery require a general anaesthetic or hospitalisation? Neck Lift surgery is performed under general anaesthetic, commonly as a daycase or an overnight procedure. Less invasive Neck Rejuvenation procedures such as Liposuction to the neck or Silhouette Neck Lift are usually performed under local anaesthetic as an out-patient treatment. Neck Lift Surgery normally takes approximately 1 to 2 hours to perform depending on the complexity of the surgery. What about the scars following Neck Surgery? Will a special garment be required after Neck Lift Surgery? In the majority of Neck Lift Surgery, a facial support garment is fitted at the end of surgery to help control swelling and reduce movement post operatively. This should be worn day and night for the first week. Can Neck Lift Surgery be performed at the same time as other procedures? Yes, Neck Lift Surgery is commonly performed together with other face surgery such as, Upper and Lower Eyelid surgery, Face Lift, Brow Lift, Chin Augmentation or Reduction, Neck Liposuction as well as Breast Uplift or Liposuction. What is appropriate and safe for you to combine will depend on your Medical Health, your goals and the individual procedures. What reassurance do I have with Neck Lift Surgery? 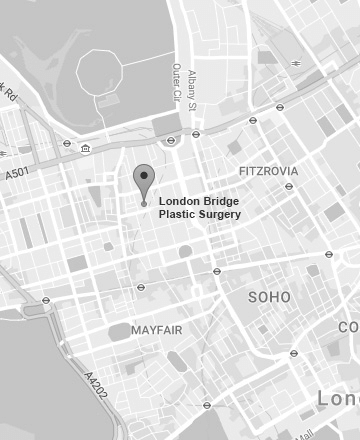 At London Bridge Plastic Surgery, we understand that your decision to have Neck Lift Surgery can be a daunting and anxious time for you. Our aim is to fully understand your concerns and desires, and assess your face and neck accurately, before agreeing on a treatment plan which is in your best interest. If for any reason you are unsuitable for Neck Lift Surgery, you will be advised against this form of surgery. We will provide you with all the information you need and support before, during and after your surgery. Mild pain / discomfort is expected for 3 – 5 days. The neck will feel tight for 3 to 4 weeks after your surgery. Patients can go back to their normal daily activities after 1 week, but avoid strenuous exercise / activity for 6 weeks including any contact sports. The results are first and foremost natural. The goals of Neck Lift surgery are to restore an aesthetically pleasing, rejuvenated jaw line and neck which is in balance with your facial features – i.e. looks natural and does not appear abnormal. Remember it can take 6 weeks or more for the final result to be achieved. Common to all surgical procedures there are always risks associated with surgery. However, complications are uncommon. Bruising can occur and may take 2 weeks to resolve, while major bleeding is rare. Infection is infrequent (less than 0.5%) and will require a course of appropriate antibiotics. Facial muscle weakness is uncommon, but typically can affect the corner of the mouth and is temporary lasting 4 – 6 weeks. Permanent weakness is rare – this risk is greater with revision Neck Lift Surgery. Some altered sensation around the Neck is expected and will commonly return to normal between 6 to 12 weeks after surgery. The results of Neck Lifting Surgery are expected to be stable for 5 to 10 years or more, but note that as you age your face and neck will change over the years. For example, the tissues around the jaw line will continue to be affected by the aging changes and gravity. Is there an alternative to Neck Lift Surgery? Yes, if Neck Lift Surgery is not appropriate or not desired, rejuvenation of the Neck can be achieved using the Silhouette Neck Lift, which may be combined with non surgical skin rejuvenation treatments such as Obagi Elastiderm Decolletage, Radiofrequency Skin Rejuvenation, LASER Rejuvenation, Lifting or Dermaroller treatments.